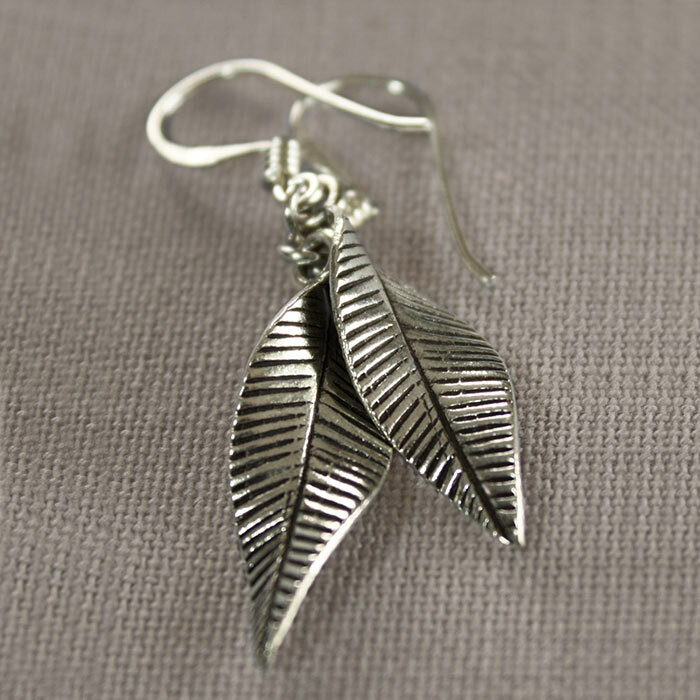 An intricate set of leaf earrings and matching silver Pendant. 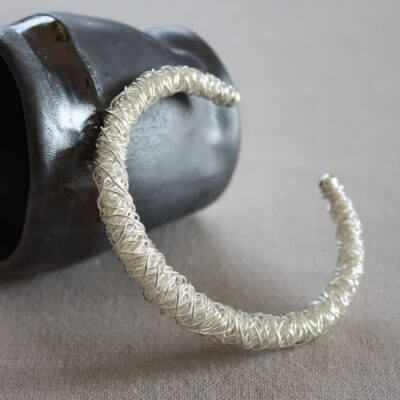 These really are a fine example of the skills and attention to detail of our artisan silversmiths. The leaf earrings are approximately 5cm long. 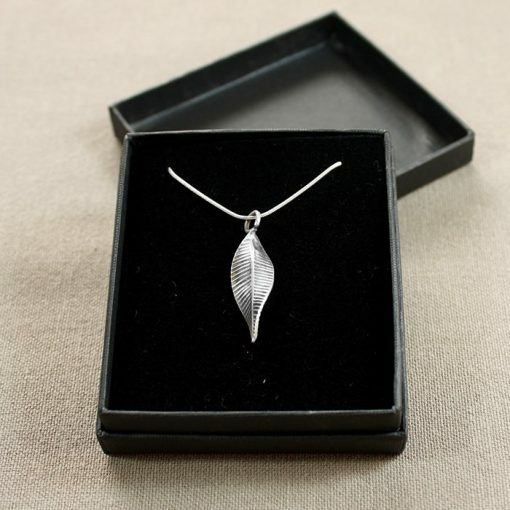 The silver necklace is approximately 50cm in length. 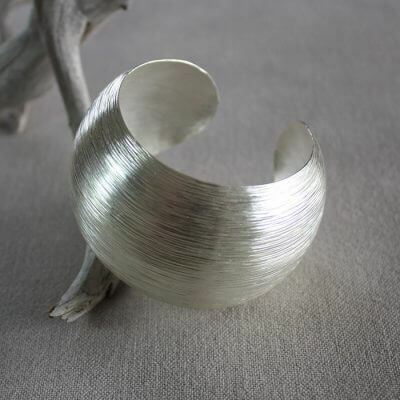 We donate 20% of our profits to an education charity, sponsoring students through school in the communities where are silversmiths live. 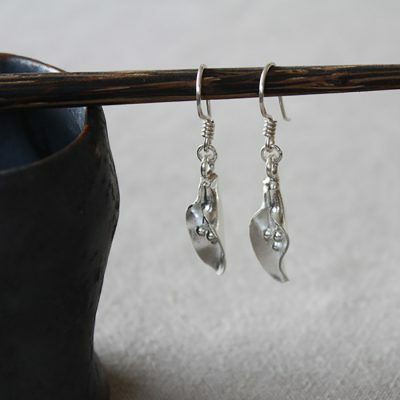 For orders under £50.00 delivery is by Royal Mail first class post. For orders over £50.00 delivery is by Royal Mail Confirmed, requiring a signature on delivery. It is possible to upgrade delivery type during checkout. 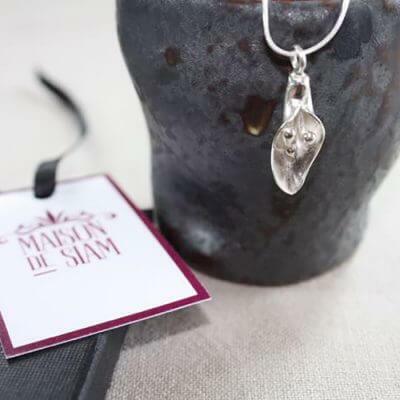 Maison de Siam presents a personally curated, unique selection of hand-crafted silver jewellery, made by artisan communities in Northern Thailand. 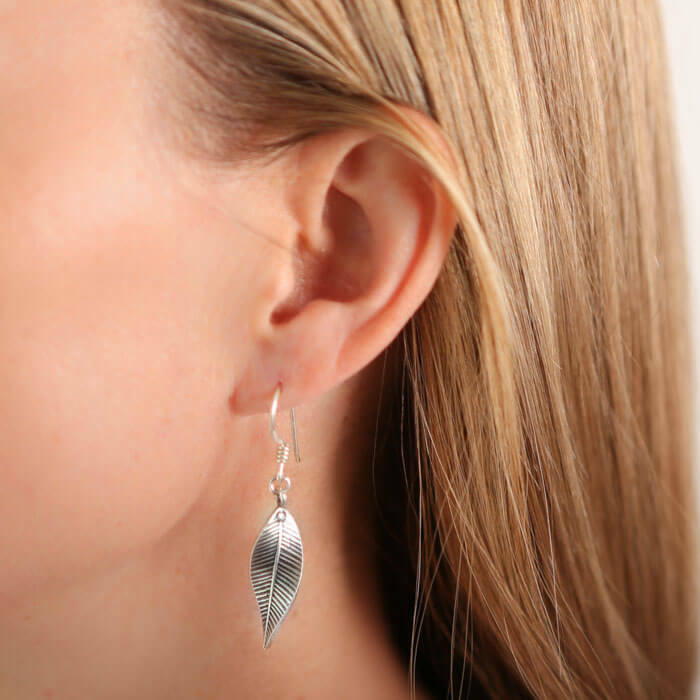 We invest in the future of those communities by supporting a local education charity.